Whilst in summer you might still consider having your ceremony at 4pm, in Autumn it does get darker earlier and you’ll want to make the most of the day light. Any time from 12:30pm to 3pm is more common for an Autumn wedding ceremony. You’ll also want to have enough time to get photos with your bridal party before (or during) sunset. Easter usually falls around the first weekends of April, and Anzac Day public holiday is towards the end. For this time of year you’ll want to confirm availability of any required accommodation and open services. Mothers Day also falls on the second weekend of May which usually ties people up with family events. Deep and bold colour schemes compliment the cooler evenings with a more sophisticated and classic look. Autumn is a great opportunity to make the most of a time of year with stunning contrasting natural colours, clear days and bright light. 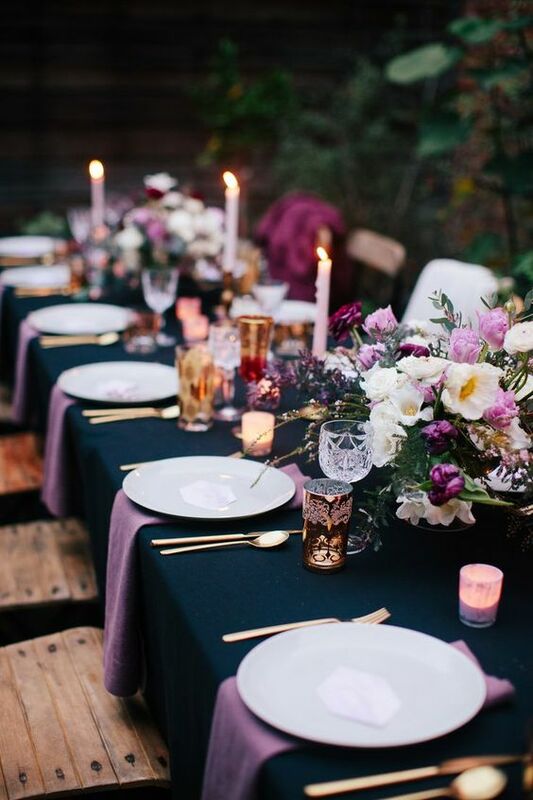 If your wedding has been outdoors, having long communal tables at the reception feels like you’re partaking in a beautiful harvest feast. If you’re in a vineyard or natural surroundings, consider a more rustic dining look that will compliment the time of year and area. Australian natives are so unique and look gorgeous in the right arrangement. A nice touch is to adorn your bridal wedding arch with traditional natives in suite with your colour scheme. Wedding arch with natives. Source, Tesselaar Flowers.